The Appellate Division agreed with the trial court’s decision and affirmed. The Appellate Division pointed out the policy in New Jersey of encouraging settlements by not disturbing fair settlement agreements. The Appellate Division found that the trial court had not abused its discretion in denying the Plaintiff’s application without ordering additional discovery or a hearing because she did not establish a change in circumstance warranting a review of alimony. The Appellate Division noted that Plaintiff had not proffered any evidence to show that the Defendant was voluntarily underemployed or that his income was concealed and hidden. The Court noted that the Plaintiff had the opportunity in the divorce case to assert that the Defendant was under employed through having a trial, but that she instead settled the case and entered into the written settlement agreement. Plaintiff was aware at the time of the divorce that Defendant had changed jobs and was earning $120,000 per year, and she chose at that time not to assert that he as voluntarily under employed. The Appellate Division did not find a basis to impute income to the Defendant based on his earnings history when his earnings history was already considered at the time of the divorce during settlement negotiations. There was no indication that the settlement agreement was not well negotiated or that it was not voluntarily entered into. Additionally, the Appellate Division disagreed that the trial court had erred by not making a determination as to the marital standard of living, noting that the parties in the settlement agreement itself expressly waived the need to make that determination. As such, the Appellate Division saw no obligation to make that determination post-judgment, especially when Plaintiff had not established or alleged any change in circumstance. The Appellate Division held that it would be “improvident” to impute $220,000 of income to the Defendant, noting that the decision to impute income is discretionary and that Defendant had produced documentation to confirm his $120,000 annual income. The court further noted that Defendant had met his alimony obligation which was based on his earnings of $160,000 even though he was earning $120,000.00. 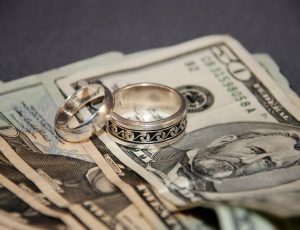 Cases such as this demonstrate the fact sensitive nature of matrimonial settlement agreements and the difficulty in revising agreements once they are entered into. The office of James P. Yudes, A Professional Corporation is available to assist in negotiation fair resolutions of Property Settlement Agreements.